Watching videos of people flipping and falling off of two-wheeled hoverboards like the Segway miniPro is endlessly fun, but actually riding one and risking your neck? Not so much. 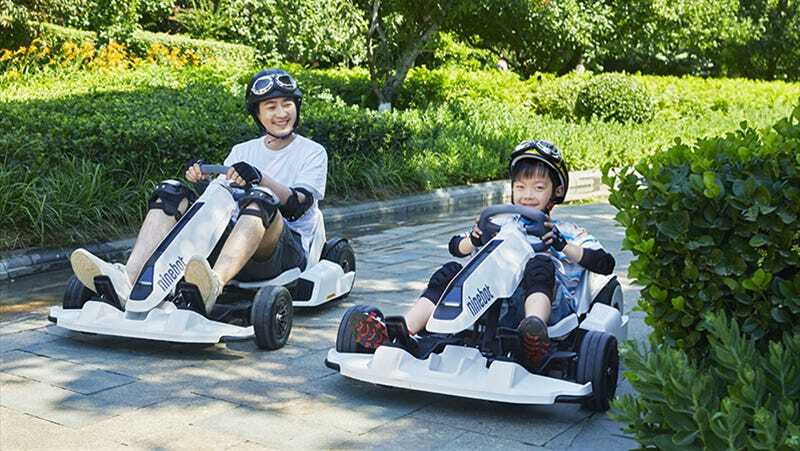 According to Abacus News, however, Ninebot has created a kit that converts the miniPro into a steerable go-kart, eliminating the risk of falling and increasing the risk of actually having fun. 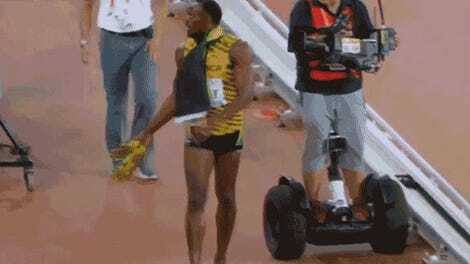 Promotional images of a Ninebot-branded Segway go-kart were posted to the Chinese micro-blogging site Weibo last week, which the official Segway Weibo site shared, without denying the product exists. The kit appears to add a seat, steering wheel, frame, pedals, and a set of front wheels, with the Segway miniPro itself being used as the rear wheels and drivetrain. The kit will possibly also include electric brakes for improved safety, and a front bumper because accidents will always happen with a human behind the wheel. We’ve reached out to Segway for more details and confirmation, but for the moment there’s no info on how much the conversion kit would add to the Segway miniPro’s $1,000 price tag, or if a bundled package will be made available at a discounted price. But additional rumors have the kit coming to the U.S. as early as July 24 this year, so hold off on adding funds to your transit pass—your new daily commuter could be here soon.